Bomb Recipes for the Perfect “Gift-Bombs”! This book is a guide to understanding more on bath bombs, its numerous benefits and ways of use. It is a guide to help you get started with creating your own colorful, attractive and heavenly bath bombs. They are pretty inexpensive and amazing self-care items which you can begin at home. You will also find some extremely useful tips and advises on questions regarding the bath bombs. 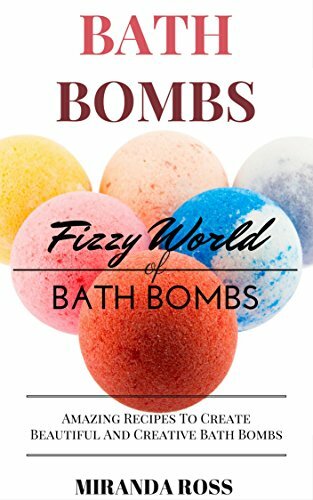 This book also has some simple, yet blissful recipes of bath bombs that you can make. There are different bath bombs with ingredients like herbs, essential oils, etc., that will help you relax, rejuvenate and indulge yourself. No matter what your mood is, there would be a bath bomb to compliment it! It is time to create some bombs that are cost efficient and bring peace and tranquility to your mind. Letâ€™s begin. Letâ€™s dive in!